Treaty Seven day care programs provide quality, developmentally appropriate and culturally enriching programming for all children so that they develop skills and abilities to become future contributing members of their Nations. 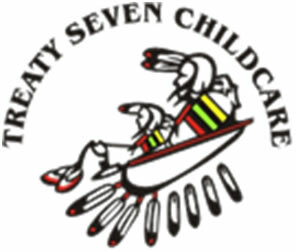 The primary mandate for childcare in Treaty Seven is to provide on-reserve day care services for working and training parents, as well to facilitate the development of the child and promote the employability and economic well being of families. Provide quality and developmentally appropriate programming for children ages 0 to 6 years old. Provide culturally enriching experiences and opportunities. Ensure early childhood educators have access to necessary certification/accreditation. Establish linkages and partners within the community, related programs and other governmental agencies. Ensure fee structure allows for accessibility and affordability. There are 10 day cares with a total of 470 licensed capacity spaces. There are three day care/head start combined centers. Each day care is licensed and monitored on a regular basis. Staffing credentials range from Level I to Level III. Funding sources are Department of Indian Affairs and Service Canada. Childcare Coordinator provides administrative, financial and technical support. Other services are advocacy, licensing liaison and monitoring for quality and cultural programming. Host Childcare workshops to increase professional development of staff, by enhancing program delivery we ensure the highest quality of care. Invitations extended to Treaty Six and Treaty Eight.